The Youth and Education corner would provide information and guidance to students and young professionals interested in a career with the Ministry of External Affairs in particular and Indian Diplomacy in general. India was among the original members of the United Nations that signed the Declaration by United Nations at Washington on 1 January 1942 and also participated in the historic UN Conference of International Organization at San Francisco from 25 April to 26 June 1945. As a founding member of the United Nations, India strongly supports the purposes and principles of the UN and has made significant contributions to implementing the goals of the Charter, and the evolution of the UN’s specialized programmes and agencies. Independent India viewed its membership at the United Nations as an important guarantee for maintaining international peace and security. India stood at the forefront during the UN's tumultuous years of struggle against colonialism and apartheid. India’s status as a founding member of the Non-Aligned Movement and the Group of 77 cemented its position within the UN system as a leading advocate of the concerns and aspirations of developing countries and the creation of a more equitable international economic and political order. India is today at the forefront of efforts on UN reform, including expansion of the Security Council in both the permanent and non-permanent categories to reflect contemporary realities. 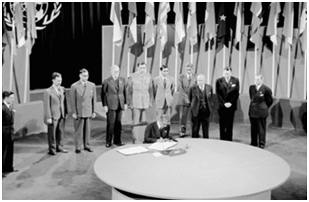 Sir A. Ramaswami Mudaliar, Supply Member of the Governor-General's Executive Council and leader of the delegation of India, signs the United Nations Charter. Charter provisions on Non-Self Governing Territories were given a new thrust when the UN adopted the landmark 1960 Declaration on the Granting of Independence to Colonial Countries and Peoples. India was a co-sponsor of the Declaration. The Declaration solemnly proclaimed the necessity of bringing to a speedy and unconditional end, colonialism in all its forms and manifestations .The following year, the Special Committee on the Implementation of the Declaration on Decolonization was established to study, investigate and recommend action to bring an end to colonialism. India was elected the first Chairman of the Decolonization Committee. As a member of the Committee of 24, as it came to be called, India has ceaselessly struggled for an end to colonialism. India also took up the decolonization issue in the Trusteeship Committee, the Special Committee on Non-self Governing Territories and the Fourth Committee. India was amongst the most outspoken critics of apartheid and racial discrimination in South Africa, being the first country to have raised the issue in the UN (in 1946). India played a leading role in the formation of a Sub-Committee against Apartheid set up by the General Assembly. When the Convention on Elimination of all forms of Racial Discrimination was adopted in 1965, India was among the earliest signatories. India also contributed generously to UN Funds for assistance to victims of apartheid and for revitalization and economic regeneration of Africa and remains a fervent supporter of Africa’s development and aspirations. As an organization, the United Nations must evolve and adapt itself to a rapidly changing environment and to better to serve the needs of the world community. At the 2005 World Summit, the member-states pledged themselves to an agenda for early and meaningful reform of the United Nations. India is of the view that the international community needs to make more determined efforts to revitalize the General Assembly to enable it to fulfil its rightful role as the principal deliberative organ of the United Nations. It is India’s belief that no reform of the United Nations is complete without the composition of the Security Council changing to reflect contemporary realities of the twenty-first century. This requires expansion in the membership of the Security Council in both the permanent and non-permanent categories. India is a member of the G4 [India, Brazil, Japan and Germany] and the L-69, the 40plus member grouping of developing countries from Asia, Africa and Latin America that have been in the forefront of inter-governmental negotiations on reform of the Security Council since 2009, India has relentlessly pursued this cause. 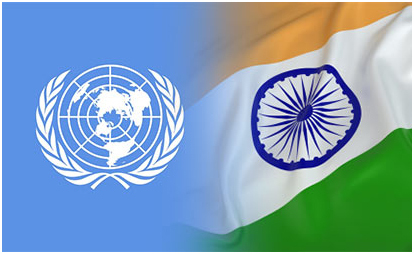 By any objective criteria, such as population, territorial size, GDP, economic potential, civilizational legacy, cultural diversity, political system and past and ongoing contributions to the activities of the UN—especially to UN peacekeeping operations—India is eminently qualified for permanent membership. India has affirmed its willingness and capacity to shoulder the responsibilities of permanent membership. India’s efforts at the New York based negotiations are complemented by the high-level endorsements of its candidature for a permanent seat by most countries. The problem of maritime piracy and the taking of hostages off the coast of Somalia remains a serious threat to international security and maritime trade and India is determined to address it. In this regard, the adoption of Security Council resolution 1976 on 11 April 2011 constitutes a major landmark since it was in its wake that the Council for the first time ever addressed the problems of hostages taken by pirates. India co-sponsored the resolution and voted in its favour. India is also actively cooperating with the international community through the Contact Group on Piracy off the Coast of Somalia and chaired its 13th plenary meeting in December 2012.A Presidential Statement on ‘Piracy’ was adopted by the Security Council under India’s presidency of the Council in November 2012.As a result of the effects of international community, in particular the Contact Group, the number of piracy attacks off the coast of Somalia has decreased significantly. This progress found specific reference in the Security Council resolutions 2067 (2012) and 2125 (2013). In the past year and a half there has not been a piracy attack off the coast of Somalia. India is an active and dynamic participant in international humanitarian issues. Even though not a signatory to the UN Convention of 1951 on Refugees, India has been practicing the Principle of Non-Refoulment, voluntary repatriation and equality before law. India is member of the Executive Committee of the United Nations High Commissioner for Refugees. India believes that the United Nations must coordinate international humanitarian assistance and ensure that it retains its voluntary and impartial nature and that humanitarian assistance is provided on the basis of international humanitarian law and humanitarian principles. 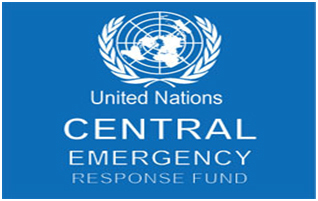 India also believes that the UN Office for Coordination of Humanitarian Affairs (OCHA) and the Central Emergency Response Fund (CERF) are key mechanisms for strengthening this capacity. India has made a multi-year commitment to CERF. Recently, we had contributed US$500,000 to the CERF for the year 2013-14 raising our total contribution to Five Million US Dollars since the inception of CERF in 2006. India is party to the 13 sectoral conventions on terrorism adopted by the UN. With the objective of providing a comprehensive legal framework to combat terrorism, India took the initiative to pilot a draft Comprehensive Convention on International Terrorism (CCIT) in 1996. Largely as a result of India’s active pursuance, a draft text of the CCIT emerged in 2007, which is agreeable to most States. But few States still have problem over a few issues, negotiations for the resolution of which are undergoing. 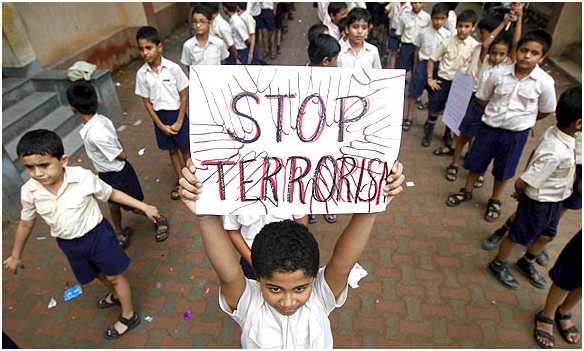 India also supports the anti-terrorism mechanisms established by UN Security Council Resolutions, including Resolutions 1267 and its successors 1988 and 1989 related to sanctions against Al-Qaeda/Taliban, 1373 (which, inter-alia, established the Counter Terrorism Committee), 1540 (which addressed non-proliferation of Weapons of Mass Destruction in this context), and subsequent resolutions that renewed, strengthened or amended these three original resolutions. As a member of the Security Council during 2011-12, India’s Permanent Representative to the UN chaired the Security Council Committee on Counter-Terrorism Committee [CTC], the Working Group concerning threats to international peace and security by terrorist acts and the Somalia-Eritrea Sanctions Committee in 2011-12.On 20 November 2012, the Counter Terrorism Committee organized a special meeting, with Member States and relevant international and regional organizations on "Preventing and Suppressing Terrorist Financing" in New York. The Government of India in association with the United Nations Counter Terrorism Committee Executive Directorate (CTED) organized a regional workshop for Police Officers, Prosecutors and Judges in South Asia on countering terrorism in New Delhi from 20 to 22 March 2012. India has a long-standing commitment to the goal of general and complete disarmament based on the principles of universality, non-discrimination and verification and has played an active role in the international community’s endeavors towards nuclear disarmament. As early as 1948, India called for limiting the use of atomic energy for peaceful purposes only and the elimination of atomic weapons from national armaments. India was the first country to call for a ban on nuclear testing in 1954. This was followed up by many other initiatives, for example, on the Partial Test Ban Treaty, and the call for international negotiations on nuclear non-proliferation of nuclear weapons. In 1978, India proposed negotiations for an international convention that would prohibit the use or threat of use of nuclear weapons. This was followed by another initiative in 1982 calling for a "nuclear freeze" - i.e. prohibition on the production of fissile material for weapons, on production of nuclear weapons, and related delivery systems. First, there should be a binding commitment by all nations to eliminating nuclear weapons in stages, by the year 2010 at the latest. Second, all nuclear weapon States must participate in the process of nuclear disarmament. All other countries must also be part of the process. Third, to demonstrate good faith and build the required confidence, there must be tangible progress at each stage towards the common goal. Fourth, changes are required in doctrines, policies and institutions to sustain a world free of nuclear weapons. Negotiations should be undertaken to establish a Comprehensive Global Security System under the aegis of the United Nations. 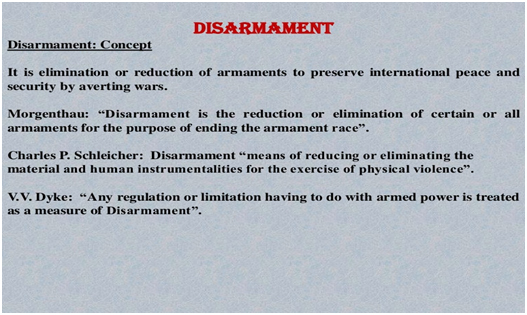 In August 1996, India together with 27 other members of the Group of 21 presented to the Conference on Disarmament a Programme of Action, as contained in document CD/1419, for the elimination of nuclear weapons with a specified timeframe. This was further endorsed by the Group of 21 in documents CD/1570 and CD/1571. India was compelled by considerations of national security to establish and adopt a policy of keeping its nuclear option open while it continued to work for global nuclear disarmament. After demonstrating nuclear capability in 1974, India exercised an unparalleled restraint in not weaponising its nuclear capability. It is relevant to recall, that during this period, when India voluntarily and totally desisted from testing, over 35,000 nuclear weapons were developed through a series of tests by states possessing nuclear weapons. India was obliged to stand apart on the CTBT in 1996 after having been actively engaged in the negotiations for two and a half years precisely because the issues of non-proliferation, global disarmament and India's concerns about its security and strategic autonomy were ignored. Over the decades, India has urged the UN to play a more active and effective role in pursuing a more equitable international order and an economic environment that is conducive to rapid economic growth and development in developing countries. India has also consistently supported a higher profile and a more central role for the UN in consideration of developmental issues. universal access to energy in developing countries, while calling for promotion of sustainable patterns of consumption and production in developed countries. India stands fully committed to the attainment of the MDGs, both nationally and globally. India has exercised leadership on these issues in fora such as Non-Aligned Movement and the G-77 to ensure that the eradication of poverty remains a priority issue in the UN. India has been a major partner of the UN specialized agencies and funds and programmes on development issues and has been one of the bigger contributors to their core funding from developing countries. India has played an active role in support of the special needs of the Least Developed Countries (LDCs) ever since the group was formed in 1971. At the fourth UN Conference on Least Developed Countries held in Istanbul in May 2011, India offered a credit line of US$ 1 billion, 250 additional Indian Technical and Economic Cooperation (ITEC) scholarships and a grant of US$ 5 million to support implementation of the Istanbul Programme of Action. India is acutely sensitive to the existential threat that Climate Change poses to the Small Island Developing States (SIDS) and supports efforts for addressing their urgent adaptation needs as part of a comprehensive, equitable, fair and balanced outcome of the UNFCCC process. It is fully committed to the Mauritius Strategy for Implementation for ensuring sustainable development of the SIDS. India looks forward to an ambitious outcome to the Third International Conference on SIDS in Samoa in 2014 which should galvanize political will and redouble international efforts to enhance international support to SIDS. As a mark of its abiding commitment to the development of SIDS and in the spirit of South-South Cooperation, Government of India has contributed a sum of US$ 250,000/- for the organization of the Third International Conference on SIDS and its preparatory meetings. India is a traditional supporter of Africa. It has a strong development partnership with African countries that has been nurtured by historical ties and bonds of South-South Cooperation. At the Second India-Africa Summit held in Addis Ababa, Ethiopia in May 2011, India offered a credit line of US$ 5 billion; new infrastructure development projects and a range of capacity building institutions including the India-Africa food processing and textile clusters, the India-Africa Rural Development Institute; a Virtual University and weather forecasting cooperation to expand its economic and development partnership with Africa. India is committed to the promotion and pursuit of sustainable development, with balanced emphasis on the economic, social and environmental pillars. The Prime Minister of India, Mrs. Indira Gandhi, was the only foreign Head of State or Government to participate in the United Nations Conference on Human Environment held in Stockholm in June 1972, at a time when international concern over environmental issues was yet to fully crystallize. At that session she emphasized that ‘poverty is the worst polluter’ and that environmental concerns cannot be viewed in isolation from developmental imperatives of developing countries. India has consistently played an important role in the evolution of an international consensus to tackle major global environmental issues. It was an active participant in the process leading up to and culminating in the convening of the United Nations Conference on Environment and Development in Rio de Janeiro in June 1992 and the Earth Summit held in Johannesburg in 2002. India attaches high importance to the outcome of the historic Rio+20 Conference in June 2012. The conference renewed the focus on sustainable development, building upon past commitments and reaffirming the fundamental Rio principles, in particular the principle of common but differentiated responsibility. Rio Earth Summit in 1992. It made a strong call to pursue global growth and development with equity and recognized poverty eradication to be the greatest global challenge in advancing sustainable development. In line with its high level commitment to sustainable development, India’s Prime Minister Dr. Manmohan Singh led the Indian delegation to the UN Conference on Sustainable Development held in Rio De Janeiro from 20-22 June 2012. Speaking in the Plenary he conveyed India’s abiding commitment to sustainable development and stated that "the future we want should be a future in which there is ecological and economic space for sustainable growth for all”. Noting the importance of giving practical shape and content to the sustainable development architecture in a manner that allows each country to develop according to its own national priorities and circumstances, Prime Minister emphasized that "those living at the subsistence level cannot bear the costs of adjustment and their livelihood considerations are important in determining how scarce natural resources such as land, water and forests are used”. Prime Minister said that the current consumption patterns in the industrialized world are unsustainable and called for new pathways for sustainable living. He stressed that at the global level, our approach to the environmental sustainability should be guided by equitable burden sharing. India has also played a positive and constructive role in the successive Conferences of Parties under the UN Framework Convention for Climate Change (UNFCCC). For developing countries like India, the issue of climate change goes beyond environmental sustainability and directly impacts their overriding priorities of development and poverty eradication. India believes that the global efforts to address climate change must be in full accordance with the principles and provisions of the Convention, in particular the principles of ‘equity’ and ‘common but differentiated responsibilities’. For a country like India, with one of the smallest carbon foot-prints in the world, the first and overriding priority is to pursue economic development, to alleviate poverty and to address its severe energy deficit. 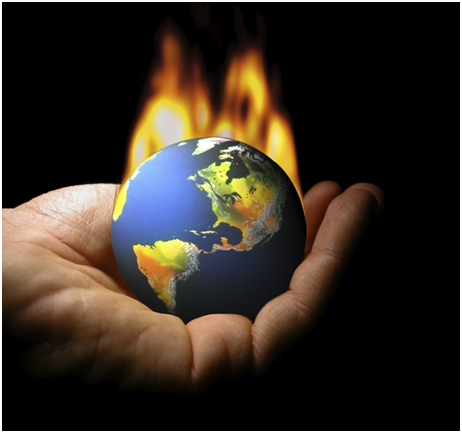 India, with 17% of the world’s population, contributes only 4% of the total global Carbon Dioxide (CO2) emissions. In per capita terms, India’s CO2 emissions are only about a quarter of the global average. Despite its huge developmental challenges, India remains fully committed to contributing to the global action on climate change through ambitious domestic actions. India has declared its commitment to keep its per capita emissions below the average per capita emissions of developed countries. The announcement to take on a voluntary target of reducing the emissions intensity of India’s GDP by 20-25% by 2020 in comparison to the 2005 level is a further manifestation of the seriousness with which India wants to contribute to the global action on climate change. India played a leading and constructive role in the 18th Conference of Parties (COP-18) to the UNFCCC in Doha, Qatar held in December 2012. India has welcomed the outcome of the Doha Conference, in particular the decision to operationalize the 2nd commitment period of the Kyoto Protocol albeit with low level of mitigation ambition. India hopes that the mitigation targets pledged by developed country parties under the 2nd commitment period will be revised upwards in 2014 as agreed at Doha and that 2nd commitment period will be ratified by parties as soon as possible for it to enter into force at the earliest. India is engaging constructively in the plan of work that has been agreed for further work in 2013 under the Adhoc Working Group on Durban Platform. India believes that the remit of the Durban Platform is the enhanced implementation of the Convention in the post-2020 period, not the renegotiation or reinterpretation of its principles and provisions. 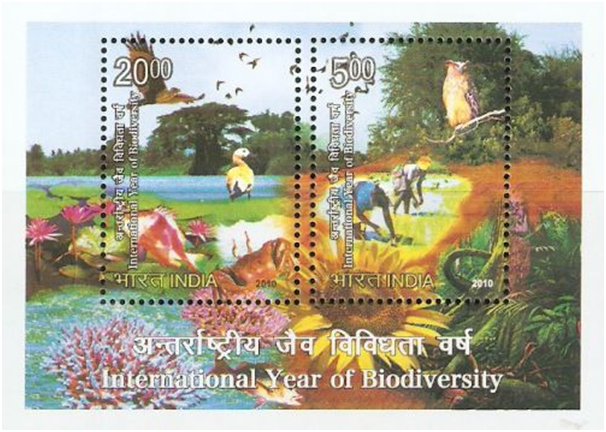 India is among the top 12 mega centers of the world in terms of its bio-diversity. It has a wide range of geo-climatic conditions and a rich and varied flora and fauna, as well as a long standing tradition of environmental sensibility and concern that goes to the very roots of its millennia-old culture. 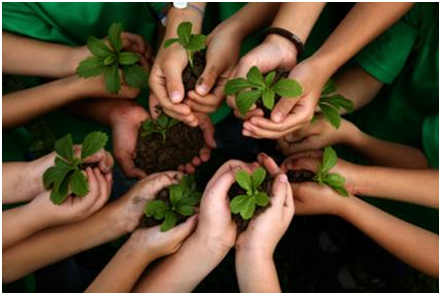 Harmony with nature has been an integral part of the ethos of Indian society. India hosted the eleventh meeting of the Conference of the Parties (COP 11) to the Convention on Biological Diversity (CBD) from 8-19 October 2012, in Hyderabad, India, following the sixth Meeting of the Parties to the Cartagena Protocol on Biosafety (COP/MOP 6). India’s hosting of these important conferences was symbolic of the importance it attaches to the preservation and protection of the planet’s biodiversity and it leadership on these issues at the multilateral fora. The meetings were presided over by Ms. Jayanthi Natarajan, Minister for Environment and Forests, India as the President of CoP-11. The High Level Segment was inaugurated by the Prime Minister of who in his speech launched the‘Hyderabad Pledge’, wherein he announced that the Government of India has decided to earmark a sum of US $ 50 million during India’s Presidency of CoP to strengthen institutional mechanism, enhance the technical and human capabilities biodiversity conservation in India, and to promote similar capacity building in other developing countries. COP-11 to the CBD was notable for the agreement on an interim target of doubling biodiversity-related international financial resource flows to developing countries by 2015, and at least maintaining this level until 2020. This is coupled with targets aiming to improve the robustness of baseline information as well as a preliminary reporting framework for monitoring resource mobilization. India is actively engaged in the process for the follow-up of the Rio+20 Conference on sustainable development. The Rio+20 Conference mandated the setting up of an Intergovernmental Open Working Group for developing Sustainable Development Goals (SDGs) and for the establishment of a universal High Level Political Forum to follow -up on the implementation of sustainable development. 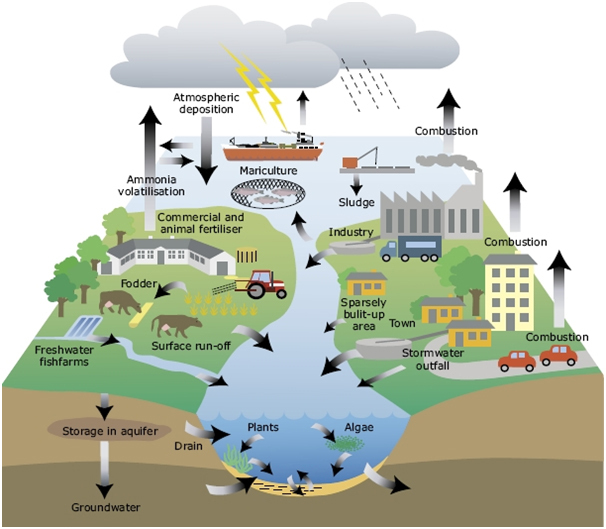 It also mandated the setting up of an Expert Working Group to propose options for sustainable development, financing strategy and requested the UN Secretary General to identify options and make recommendations regarding a Technology Facilitation Mechanism for promoting the development, transfer and dissemination of clean and environmentally sound technologies. India participated actively in the negotiations on the format and organizational aspects of the High Level Political Forum which have now been completed. India looks forward to the first meeting of the High Level Political Forum under the auspices of ECOSOC during the 68th session of the UNGA. India is also a part of the Open Working Group to define the Sustainable Development Goals. India shares its seat with Pakistan and Sri Lanka. India has called for the SDGs to be simple to comprehend, concise and easy to implement and precise to communicate. It is important for the SDGs to place equal emphasis on each of the three pillars of sustainable development and fully respect the Rio principles. The SDGs must inter alia promote rapid and inclusive economic growth, focus on poverty eradication as the central global objective, emphasize the promotion of sustainable patterns of consumption particularly in developed countries, ensure energy access and food security in developing countries and carry forward the MDGs. Furthermore, India calls for each of the SDGs to be accompanied by dedicated means of implementation for the developing countries. The proposals for financing and technology mechanisms which were agreed to at Rio+20 both were Indian proposals which received strong support from G77 countries, including from Africa, LDCs and Small Island States. India is now keen to ensure that these mechanisms are operationalized at the earliest. India has nominated an expert in the Intergovernmental Expert Committee for Sustainable Development Financing Strategy. As for a Technology Facilitation Mechanism, the reports of the UN Secretary General have recommended the establishment of such a mechanism under the auspices of the UN. India strongly supports this proposal. During a series of workshops organized by the President of the General Assembly in May 2013, India argued for a transformative and collaborative approach to resolve the technology conundrum and support the establishment of the Technology Facilitation Mechanism to overcome the fragmentation of efforts at present and to synergize global cooperation on technology under the auspices of the UN. India looks forward to participating constructively in the four one-day structured dialogues proposed to be organized during the 68th session of the General Assembly with the expectation that these dialogues will help in building consensus on the format and modalities of the TFM which can then be made operational at the earliest. India places high importance on the adoption of a Post-2015 Development Agenda. The Post-2015 Development Agenda must be in consonance with the outcome of Rio+20 Conference and in accordance with the Rio principles, in particular the principle of common but differentiated responsibilities. Eradication of poverty must be the central and overarching objective of the Post-2015 Development Agenda and it must emphasize the promotion of rapid and sustained economic growth in developing countries. The unfinished task of MDGs must be carried forward in the Post-2015 development agenda, which should have a strengthened global partnership to support the efforts of developing countries. Such a partnership should have clear goals and targets on ODA, transfer of technology, capacity building, market access, multilateral trading network, debt sustainability and financial stability. A universal agenda must mean that the Post-2015 Development Agenda should go beyond mere policy prescriptions for the South. Developed countries must also take on concrete deliverables, particularly in rationalizing their unsustainable patterns of consumption, reforming the institutions of global economic governance and providing enhanced financial and technological support to developing countries. India has a unique experience in nation-building given our large, diverse and complex reality. Our approach to South-South Cooperation has been therefore to share this experience and knowledge in a spirit of solidarity with countries from the South treading similar paths of socio-economic development. South-South Cooperation has therefore been integral from the very beginning to India’s foreign policy and diplomacy. Today we have a vibrant and large-scale programme of cooperation with all 48 Least Developed Countries across Africa, in our neighborhood in Asia and across the GRULAC region. It spans the entire spectrum of human activity such as agriculture development, information technology, irrigation, aquaculture, disaster management, remote sensing, telemedicine, textile engineering, accounting and finance, clean technologies, rural development, and SMEs. Along with Brazil and South Africa, we have also partnered in the IBSA Trust Fund Initiative, which has been a flagship project under the overall canvas of South-South cooperation. We have already concluded several key developmental projects including rural electrification through solar energy systems in Guinea Bissau, improving the health infrastructure services for children in Cambodia, rehabilitation of health centers and water desalination projects in Cape Verde, capacity building projects in Sierra Leone, besides several others in Palestine, Burundi, Lao PDR and Vietnam. Even though South-South Cooperation is being singled out as a new buzzword in the evolving narrative of the developmental discourse, much more remains to be done to give it the ‘muscle’ it needs from the UN system. We believe the first thing to do is to let it proceed and grow on the basis of its unique characteristics of national ownership and mutually agreed terms. Looking at South-South cooperation as either permitting a dilution or substituting for North-South aid would only serve to shackle it to the detriment of developing countries. Given the vast difference in development levels between countries of the North and those from the South, it is important that South- South Cooperation is not straight-jacketed in terms of rigid rules and regulations or policy prescriptions, including those in the name of aid effectiveness. Flexibility and adaptability is the key to the success of South-South Cooperation, they must not be compromised. India stands solidly committed to assist the UN in the maintenance of international peace and security with a proud history of UN peacekeeping dating back its inception in the 1950s. India has contributed nearly 160,000 troops, the largest number from any country, participated in more than 43 missions and 156 Indian peacekeepers have made the supreme sacrifice while serving in UN missions. India has also provided and continues to provide eminent Force Commanders for UN Missions. In 2014, India is the third largest troop contributor [TCC] with 7,860 personnel deployed with ten UN Peacekeeping Missions of which 995 are police personnel, including the first female formed police unit under the UN. The high standards of performance maintained consistently by the Indian troops and policemen deployed on UN Missions, under challenging circumstances, have won them high regard worldwide. India is of the view that the international community must grasp the rapid changes that are underway in the nature and role of contemporary peacekeeping operations. The Security Council’s mandates to UN peacekeeping operations need to be rooted in ground realities and correlated with the resources provided for the peacekeeping operation. It is critical that troop and police contributing countries should be fully involved at all stages and in all aspects of mission planning. India’s unique combination of being the largest democracy in the world with a strong tradition of respect for rule of law and the successful experience in nation building makes it particularly relevant in the context of twenty-first century peace building. India was reappointed to the Organizational Committee of the Peacebuilding Commission (PBC) in December 2010, for a third 2-year term. India is strongly supportive of nationally-led plans for peace consolidation, while arguing for a constructive approach and a "lighter touch” by the PBC in extending advice, support and in extending its involvement. India has also been contributing to the UN Peace Building Fund. Since 1948, UN Peacekeepers have undertaken 68 field missions. As on today there are approximately 96,877 personnel serving on 15 peace operations led by UNDPKO, in four continents. This represents a nine- fold increase since 1999. A total of 120 countries have contributed military and police personnel to UN Peacekeeping. Currently, more than 82,127 of those serving are troops and military observers and about 12,930 are police personnel. India has been the largest troop contributor to UN missions since inception. So far India has taken part in 43 Peacekeeping missions with a total contribution exceeding 1,60,000 troops and a significant number of police personnel having been deployed. India has so far provided one Military Advisor (Lt Gen R K Mehta), one Police Adviser (Ms. Kiran Bedi), one Deputy Military Adviser (Lt Gen Abhijit Guha), 14 Force Commanders and numerous Police Commissioners in various UN Missions. Indian Army has also contributed lady officers as Military Observers and Staff Officers apart from them forming part of Medical Units being deployed in UN Missions. The first all women contingent in peacekeeping mission, a Formed Police Unit from India, was deployed in 2007 to the UN Operation in Liberia (UNMIL). Many gallant Indian soldiers have laid their life to bring peace and harmony to the world. While serving under the blue flag, 156 Indian soldiers have so far made the supreme sacrifice. Korea (1950-54): Paramedical Unit comprising 17 officers, 9 JCOs and 300 other ranks was deployed to facilitate withdrawal of sick and wounded in Korea. Lt. General K.S. Thimmaya was appointed as the Chairman of the Neutral Nations Repatriation Commission (NNRC) set up by UN. India also provided a custodian force under Major General SPP Thorat comprising 231 officers, 203 JCOs and 5696 other ranks. Indo-China (1954-70): India provided an Infantry Battalion and supporting staff for control of Indo-China comprising three States of Vietnam, Cambodia and Laos. Tasks included monitoring, ceasefire and repatriation of prisoners of war, among others. A total of 970 officers, 140 JCOs and 6157 other ranks were provided during the period from 1954-1970. Middle East (1956-67): United Nations Emergency Force (UNEF), where for first time armed troop contingents were deployed. India’s contribution was an Infantry Battalion and other support elements. Over a period of 11 years, 393 officers, 409 JCOs and 12383 other ranks took part in the operations. Congo (1960-64) (ONUC): Two Infantry Brigades comprising 467 officers, 401 JCOs and 11,354 participated and conducted operations. A flight of six Canberra bomber aircraft of the IAF also participated in operations. 39 personnel of the Indian contingent laid down their lives. Captain G.S. Salaria was awarded posthumously the Paramvir Chakra for action in Katanga, Southern Congo. Cambodia (1992-1993) (UNTAC): Was set up to supervise ceasefire, disarm combatants, repatriate refugees and monitor conduct of free and fair elections. A total of 1373, all ranks participated from Indian Army. Mozambique (1992-94) (ONUMOZ): Two Engineer companies HQ company, logistics company, staff officers and military observers were provided. In all 1083, all ranks participated. Somalia (1993-94) (UNITAF & UNOSOM II): The Indian Navy and Indian Army took active part in UN Operations. Indian Army deployed a Brigade Group comprising 5000 all ranks and the Navy deployed four battleships. Rwanda (1994-96) (UNAMIR): An Infantry Battalion Group, a signal company, and engineer company, staff officers and Military Observers were provided. Total of 956, all ranks took part. Angola (1989-1999) (UNAVEM): Besides providing a Deputy Force Commander, an Infantry Battalion Group and an engineer company comprising a total of 1014 all ranks. India contributed 10 MILOBS for UNAVEM-1; 25 for UNAVEM-II and 20 MILOBS, 37 SOs, and 30 Senior NCOs for UNAVEM-III. Sierra Leone (1999-2001) (UNAMSIL): Two Infantry Battalion Groups, two engineer companies, quick reaction company, attack helicopter unit, medical unit and logistic support in addition to sector HQ and Force Headquarters staff. Ethiopia-Eritrea (2006-08) (UNMEE): One Infantry Battalion Group, one construction engineer company and one force reserve company, apart from staffing at various HQs and MILOBs. Lebanon (UNIFIL) (Since December, 1998): One Infantry Battalion Group, and Level II Hospital comprising 650 all ranks and 23 staff officers, till date. The current situation in the Mission is tense and volatile due to the crises in Syria. Congo (MONUC/MONUSCO) (Since January, 2005): Extended Chapter VII mandate. Augmented Infantry Brigade Group (four Infantry Battalions) with level III Hospital. Army aviation contingent with utility helicopters. A large number of MILOBs & SOs have also been contributed. In addition two Formed Police Units (FPU) ex BSF and ITBP have also been deployed since 2009. Lt. General Chander Prakash of India was till recently the Force Commander in MONUSCO. MONUSCO’s new mandate vide Resolution 2098 (2013) has been implemented with an Intervention Brigade provided by AU, deployed under UN Command. The FARDC along with the support of MONUSCO were able to destroy the M-23 Rebel Group, however the situation continues to be volatile and uncertain due to the presence of other armed groups. Sudan (UNMIS/UNMISS) (Since April, 2005): Two Infantry Battalion Groups, sector HQ, engineer company, signal company, Level-II hospital and large number of MILOBS and SOs. We have a Deputy Force Commander (Brig. Asit Mistry) and till recently a Deputy Police Commissioner (Mr. Sanjay Kundu) there. The latest political developments in the Mission led to widespread inter-tribe violence and large displacement of locals. In the ensuing intra state conflict two Indian Peacekeepers lost their lives while ensuring protection of civilians. The current situation continues to be highly volatile and sporadic clashes between the tribes are being reported regularly. Golan Heights (UNDOF) (Since February, 2006): A Logistics Battalion with 190 personnel has been deployed to look after the logistics security of UNDOF. Major General I.S. Singha is the Force Commander since July, 2012. Current crisis due to Syrian conflict has impacted the mission and exchange of fire between the Syrian Forces and the Armed Groups have put the Peacekeepers in grave danger. Ivory Coast (UNOCI) (Since April, 2004): The mission is supported by Indian SOs and MILOBs since inception. Haiti (MINUSTAH) (Since December, 1997): Apart from three Indian FPU there from CISF, CRPF and Assam Rifles, which have been hugely successful, the mission has been supported by Indian Army staff officers since inception. Liberia (UNMIL) (Since April, 2007): India has been contributing both male and female FPUs ex CRPF / RAF in Liberia. The Female FPU has especially become a inspiration for the women of the host nation and have become trendsetters for other such female FPUs across the Globe. Till recently, Mr. Gautam Sawang of India was the Police Commissioner there. Human rights are the core of any free democratic society. They form an important institutional pillar of the United Nations. India advocates a holistic and integrated approach that emphasizes the inter-dependence, inter-relatedness, indivisibility and universality of human rights. India’s position reinforces the inter-relationship between development, human rights, democracy and international cooperation. India took active part in drafting of the Universal Declaration on Human Rights. Dr (Mrs). Hansa Mehta, a Gandhian political activist and social worker, who led the Indian delegation, had made important contributions in drafting of the Declaration, especially highlighting the need for reflecting gender equality. India is fully committed to the rights proclaimed in the Universal Declaration adopted in 1948. As a State Party to the principal covenants on human rights, and of most other major human rights instruments, India is committed to the promotion and protection of human rights of its citizens. Our efforts are underpinned by our democratic, pluralistic and secular polity, an independent and impartial judiciary, a vibrant civil society, a free media and independent national human rights institution. India was an active participant in the former UN Commission on Human Rights of which it was a member since the Commission’s inception in 1947. Following the replacement of the Commission by the Human Rights Council in 2006, India was elected to this body successively in 2006, 2007 and 2011 with one of the highest number of votes. India has been actively participating in the work of the Human Rights Council, including its Universal Periodic Review mechanism, and closely interacts with the High Commissioner for Human Rights, to strengthen the protection of human rights globally. India attaches great importance to advancement of gender equality and the empowerment of women and is fully committed to the Beijing Platform of Action. India was closely involved in the establishment of UN WOMEN and actively supports this newest UN entity in the implementation of its mandate. As part of Government of India's commitment towards the new entity, Government of India has so far contributed USD 4 million to the core resources of the UN Women, as part of its overall standing commitment of USD 5 million spread over five years. UN Women has been encouraged to use enabling technologies, such as ICT technologies, as tools to the real empowerment of women as part of its gender equality strategy. The United Nations Democracy Fund (UNDEF) was initiated as a result of a partnership between India and the United States and was launched jointly by India’s Prime Minister, Dr. Manmohan Singh; US President, Mr. George Bush and UN Secretary General, Mr. Kofi Annan in New York on September 14, 2005. Presently, India is the second largest contributor to the UNDEF, having contributed USD 31.56 million by January, 2014. India considers the fund to be an effective instrument for the promotion of democratic values and processes and has played a prominent role in the UNDEF, as member of its apex governing body - the Advisory Board. UNDEF presently supports projects that strengthen the voice of civil society, promote human rights and encourage the participation of all groups in democratic processes. Since its inception, UNDEF has funded more than 500 projects in over 100 countries, bringing total disbursement to some 125 million US Dollars. Trade and commerce form a crucial component of the rapidly expanding and multi-faceted relations between India and U.S. From a modest $ 5.6 billion in 1990, the bilateral trade in merchandise goods has increased to $ 63.7 billion in 2013 representing an impressive 1037.5% growth in a span of 23 years. India's merchandise exports to the U.S. grew by 4.2% from $ 28.96 billion during the period January-August 2013 to $ 30.17 billion during the period January-August 2014. 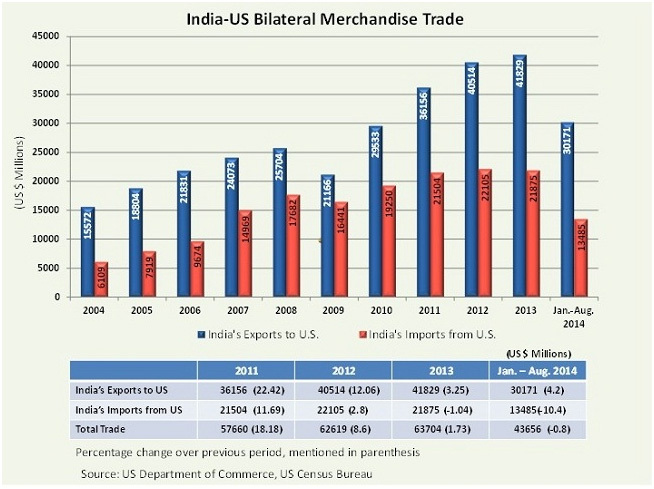 US exports of merchandise to India fell by 10.4% from $ 15.05 billion during the period January-August 2013 to $ 13.49 billion during the period January-August 2014. India - U.S. bilateral merchandise trade during the period January - August 2014, is $ 43.65 billion. Select major items with their percentage shares, are given below. Trends with respect to the major items of bilateral trade during the past two years are as follows. Cut and polished diamonds and jewelry exports amounted to $ 5996 million as compared to $ 6320 million during the period January-August 2013 which is a decrease of 5.1%. Mineral Fuel oil exports grew by 7.7% to $ 3518 million from $ 3266 million. Pharmaceutical products exports increased by 14.8% to reach $ 3434 million, from $ 2990 million. Organic Chemicals exports grew by 5% accounting for $ 1516 million compared to $ 1445 million. Machinery exports increased by 16.9% from $ 1249 million to $ 1460 million. Miscellaneous Textile articles grew by 4.7% from $ 1342 million to $ 1405 million. Woven apparel exports increased by 2.9% from $ 1358 million to $ 1397 million. Exports of Knitted apparel exports increased by 8.8% to $ 1029 million from $ 945 million. Electrical Machinery exports grew by 1.9% from $ 875 million to $ 891 million. Lac, Gums, resins exports fell by 40.4% to $857 million from $ 1437 million. Cut and polished diamonds and jewelry exports amounted to $ 3138 million as compared to $ 4262 million during the period January-August 2013 which is a decline of 26.4%. Aircraft and parts exports fell by 11.3% to $ 1661million from $ 1872 million. Machinery exports fell by 12.3% from $ 1588 million to $ 1392 million. Electrical Machinery exports grew by 0.2% to $ 887 million from $ 885 million. Mineral Fuel, oil grew by 7.1% to $ 874 million from $ 816 million. Optical & Medical Instruments exports fell by 1.3%, accounting for $ 833 million from $ 844 million. Organic Chemicals exports fell by 14.9% from $ 546 million to $ 465 million. Plastic Products decreased by 2.4% from $ 459 million to $ 448 million. Wood Pulp and Boards exports grew by 51% to $ 406 million from $ 269 million. Miscellaneous Chemical products fell by 2.2% to $ 390 million from $ 398 million. During the year 2007, the basket of US imports to India included exceptionally large imports of aircraft /parts, which resulted in a leap in the growth rate of US exports to 54.7%. With this component excluded, the growth rates of US exports in 2007 and 2008 were 37.5% and 39.9% respectively. India has been pursuing a "Look East Policy" since 1990s. There has been steady progress in the India-ASEAN relationship since the policy was initiated in 1991. India became a sectoral dialogue partner of ASEAN in 1992, a full dialogue partner in 1996 and since 2002, engages in annual Summits with ASEAN. To mark the 20th anniversary of our partnership and the 10th anniversary of our Summit-level partnership, India hosted the India-ASEAN Commemorative Summit on the theme "India and ASEAN: Partners in Progress and Prosperity" in New Delhi on December 20-21, 2012. The relationship was elevated to the level of Strategic Partnership during the Summit. India-ASEAN interaction is diverse and includes cooperation across a range of sectors, such as trade, science & technology, human resource development, health, space sciences, agriculture, new and renewable energy, information and communication technology, telecommunications, transport and infrastructure, and tourism and culture. There are a total of 26 dialogue mechanisms with the ASEAN, in which our Ministers and officials participate. Plans of Action: Under the ASEAN-India Partnership for Peace, Progress and Shared Prosperity, which sets out the roadmap for long-term engagement, a Plan of Action was (2004-2010) was developed to implement some initiatives and projects. A second Plan of Action for 2010-2015 was adopted at the 8th ASEAN-India Summit (Hanoi, 30 October 2010). Trade: India-ASEAN trade grew at compound annual growth rate of over 23% over last 11 years. The ASEAN-India Trade in Goods FTA was signed in August 2009 and entered into force on 1 January 2011. The trade between ASEAN & India stood at US$76.73 billion in 2012-13. During the 10th ASEAN-India Summit in Phnom Penh, the Leaders of India and ASEAN countries set a target of ASEAN-India trade of US$ 100 billion by 2015. Trilateral Highway: India’s flagship project with ASEAN to enhance connectivity is the 1360 km India-Myanmar-Thailand Trilateral Highway, which when completed, will provide seamless connectivity between Moreh in India to Mae Sot in Thailand. India has already constructed 160km between Tamu-Kalewa-Kalemyo (TKK Road) in Myanmar and undertaken to build another 120 km of the Kalewa-Yargyi road segment and repair/upgrade 71 bridges on the TKK Friendship Road. Since June 2013 there is an annual institutionalised official level dialogue with ASEAN to discuss various projects of physical institutional and socio-cultural connectivity. ASEAN-India S&T Development Fund (AISTDF) with a US$ 1 million contribution from India to promote joint collaborative R&D research projects in Science & Technology sectors. It become operational in 2009-10. ASEAN-India Green Fund: At the 6th ASEAN-India Summit (21 November 2007, Singapore) India announced the setting up of an ASEAN-India Green Fund with an initial contribution of US$ 5 million from India to support collaboration activities relating to environment and climate change. Socio-cultural cooperation: Co-operation between India and ASEAN is enhancing in the cultural, educational and academic fields, through people-to-people contacts, the Eminent Persons Lecture Series, Youth Exchange Programmes, Training for ASEAN Diplomats and a Media Exchange Programme. India has established Centres for English Language training (CELT) and Entrepreneurship Development Centres (EDC) in Cambodia, Lao PDR, Myanmar and Vietnam (CLMV countries). There is ongoing annual regular Parliamentary exchange under which a delegation of MPs from India attended the 35th General Assembly of ASEAN Inter-Parliamentary Assembly (AIPA) in September 14-20, 2014 in Vientiane, Lao PDR. India has extended visa on arrival facility to seven ASEAN countries, namely, Laos, Cambodia, Vietnam, Singapore, Indonesia, Philippines and Myanmar. An MoU on Strengthening Tourism Co-operation between India and ASEAN was signed at the India-ASEAN Ministerial Meeting on Tourism on January 12, 2012, in Manado, Indonesia. An ASEAN-India Eminent Persons Group (AIEPG) set up to draft a new India-ASEAN Vision - 2020 document submitted its report at the 10th ASEAN-India Summit (Phnom Penh, Cambodia, November 19, 2012). The Vision Statement was adopted during the Commemorative Summit in 2012 and continues to provide direction to the Strategic Partnership. An ASEAN-India Centre was inaugurated in 2013to brainstorm on various aspects of the Strategic Partnership and provide inputs to the policy makers. Delhi Dialogue: Delhi Dialogue was set-up in 2009 as a premier annual track 1.5 event to discuss politico-security and economic issues between ASEAN and India. Six editions of Delhi dialogue have been held so far. Under the theme, "Realizing the ASEAN-India Vision for Partnership and Prosperity” Delhi Dialogue VI was held in 2013 in collaboration with Institute for Defense and Strategic Analyses, Indian Council of World Affairs. The seventh edition of Delhi Dialogue will be held on March 11-12, 2015 with ASEAN India Center and ISIS Malaysia as partners. Indian Chamber of Commerce Kolkata, ICRIER, All India Association of Industries, ASSOCHAM and CII will be Associates in the organization of DD VII. The 11th India-ASEAN Summit was held in Brunei Darussalam from October 9-10, 2013. The Leaders took stock of the progress made in the India-ASEAN relationship and agreed to enhance co-operation on a range of issues, including trade, maritime security, food and energy security, and physical and people-to-people connectivity. They reaffirmed their commitment to further strengthen India-ASEAN cooperation, through the implementation of the Plan of Action 2010-15. The 12th ASEAN-India Summit will take place on November 12, 2014 in Nay Pyi Taw, Myanmar. Call it the Power of 20. It’s the world’s most powerful economic club, bringing together 20 most developed and emerging economies in the world, spread across five continents. The G20 comprises around 90 per cent of the global GDP, 80 per cent of the world trade and more than two-third of the world’s population. Six years and eight summits later, it’s a high moment for G20 as the leaders of the world’s premier economic forum gather for their 9th summit in Brisbane, the picturesque gateway to Australia, November 15-16. The Brisbane summit is set to be perhaps the most substantive one as it would seek to fructify some of key initiatives that have been in the making for some time and coalesce global efforts to achieve an additional 2 per cent growth that is expected to inject $2 trillion into the global GDP and create millions of new jobs and viable employment opportunities around the world. With India’s economy growing at a fast clip and armed with a solid majority in parliament, all eyes will be on India’s reform-minded Prime Minister Narendra Modi as he attends his first G20 summit in Australia. India has an ambitious multi-pronged agenda for the G20 summit that ranges from deploying global surpluses for infrastructure development and inclusive development to energy efficiency and global action to mitigate ebola. Topping the list is lifting the global economic growth by 2 per cent – the overarching goal of the Brisbane summit -- and blending growth with sustainable development and job creation. Ahead of his trip, Prime Minister Modi has pithily encapsulated India’s core goals at the G20 summit as "global economic growth and stability, stable financial markets and global trading regimes and employment generation.” He has also underlined India’s development priorities and enlisted the global support for accelerating "the creation of next generation infrastructure, which also includes digital infrastructure, and ensure access to clean and affordable energy.” He is also expected to highlight the importance of international cooperation against black money. Many issues will be competing for the mindspace of the world leaders. Promoting inclusive development agenda and enhanced infrastructure investment will be a top priority for India at the G20 summit. With Prime Minister Modi looking to re-make India as a manufacturing powerhouse and an economic dynamo, he is expected to renew the call to the world to ‘Make in India.” For the new dispensation in Delhi, enlisting global partnerships for infrastructure upgrade in New Delhi is not just an economic priority, but also a core foreign policy priority as the Indian prime minister has consistently emphasised on infrastructure development in all his interactions and summit meetings with foreign leaders. ​This time around, with the leaders of the world’s leading economies gathered on the same platform, he is expected to make a robust pitch for attracting more investment for infrastructure development in India as well as in the developing world. In India’s assessment, infrastructure investment is crucial to lifting global growth. India has also stressed that the quantity as well as quality of infrastructure development is equally important. In this context, the concretisation of a Global Infrastructure Initiative (GII) at the Brisbane summit could be critical. "The GII will be designed to complement the work of international development banks and the initiatives in member countries, such as India's recently-announced 'PPP (Public-Private Partnership) in India'. A mechanism to implement specific elements of the GII will be announced in Brisbane,” says Patrick Suckling, Australia’s High Commissioner to India. Reducing the cost of remittances will be another key priority for New Delhi. This is also an issue close to Prime Minister Modi’s heart as his government has made the welfare of the 25-million strong Indian diaspora spread across continents a core focus issue of the country’s foreign policy. The leaders of G20 countries are aware that India is the single largest recipient of global remittances, and therefore a consensual decision on reducing transaction costs matters a lot to India. There is clearly a lot at stake for India here: even 1 per cent reduction in costs of remittances would mean an additional flow of $700 million for India (at the current rate of $71 billion remittances). Besides, this is the hard-earned money of Indian workers who toil hard in difficult conditions in foreign lands, and send their savings back home, a point stressed eloquently by Mr Prabhu in his pre-summit briefing. "Many of our friends from Kerala, many of our friends who work in more than 50 degree centigrade. They work hard, send the money back to India which supports the Indian economy significantly because that reduces the gap of Current Account Deficit,” he said. India’s target is to reduce cost of remittances cost from 10 per cent to 5 per cent. "It is very ethical, logical, and very important that why should a worker who is working there should pay a bulk part of his money in order to remit money back home, just because the banking system does not operate in a proper manner,” he added. India is also going to be proactive in pushing a global regime for automatic sharing of information between tax authorities to help identify and fix tax-evaders by 2017-2018. The Brisbane summit is also expected to agree to a revamped tax regime for multinationals, including global e-commerce giants who avoid paying taxes by hiding behind intricate corporate structures. India would be quick to welcome the new tax regime as it has been relentlessly pushing for transparency in the international taxation system. Promoting energy security and energy efficiency will also be high on India’s agenda, with India expected to press for a dialogue on global gas markets and strong collective action on climate change. At the G20, India is expected to push for adopting measures that discourage wasteful energy consumption. In its pursuit of clean and green growth, India is demanding strong action on climate change within the framework of the United Nations Framework Convention on Climate Change (UNFCCC), based on the principle of common but differentiated responsibility of developed and developed countries. India will also be advocating a change in global energy mix with greater emphasis on renewables and focus on mitigation to climate change. Most important, the perennially elusive quest of fashioning a democratic global financial architecture, which reflects the 21st century realities and the tectonic shift of economic gravity from the west to the east, is expected to see a renewed push at the Brisbane summit. One can expect India’s prime minister to make a strong pitch for spurring the reform of the global financial institutions, asking the advanced economies to honour their long-overdue promise to implement the 2010 IMF quota and governance reforms. "The post-Cold War global economic governance order needs to be recast. It will be a major priority for India at the G20 summit in Brisbane,” says Pinak Ranjan Chakravarty, former secretary (economic affairs), Ministry of External Affairs, India. In the end, the G20 process is about balancing competing interests and setting global rules of economic engagement. Born in the crucible of the 2008 global economic crisis, the G20’s agenda has moved beyond crisis management to enhanced global macroeconomic coordination to create a new equilibrium and resilience in global economy. In the scrambled alphabet of global geopolitics, the G20 finally seems to be getting the script right. Across the summits, India, Asia’s third largest economy, has emerged as a fine balancer, delicately blending its national interests with the imperatives of global economic integration. With upbeat projections about India’s economic growth in the years come, expect India to contribute substantially to global economic growth and be a more proactive player in shaping the G20 process. Against the backdrop of an uneven global economic growth, marked by stark asymmetries across geographies it makes sense for the world to be on the side of the India story and global economic resurgence. h) to cooperate with international and regional organisations with similar aims and purposes. The Charter (Article III) provides that the Heads of State or Government "shall meet once a year or more often as and when considered necessary by the Member States".However, the Summit has generally been convened at an interval of one and half year or so. The Twelfth Summit (Islamabad, January 2004) approved the institution of the SAARC Award to honour and encourage outstanding individuals and organizations within the region. - to honour any other outstanding contributions and achievements, not covered above, of individuals and organizations in the region. The SAARC Award comprises of a gold medal, a letter of citation and cash prize of US $ 25,000. Since institution of SAARC Award in 2004, it has been awarded only once and the Award was posthumoulsy confered upon Late President Ziaur Rahman of Bangladesh. The SAARC Youth Awards Scheme was instituted in 1996 to provide recognition to extraordinary young talents and encourage the overall development of the youth in the region. The Scheme is also aimed at encouraging the South Asian youth to excel in various fields and to realize their full potential. The SAARC Youth Awards Scheme is open to nationals of SAARC Member Countries, who are within the age group of 20-35 years at the time of nomination. The Award consists of a citation in English; a Gold Medal; and a cash prize of US$ 1500.00. The theme for the year 2004 was decided as "Dedicated Community Services in the Field of TB and/or HIV/AIDS”. A recommendation for instituting an Annual Regional Award for Young Scientists was made by the Working Group on Meteorology at its second meeting in New Delhi as early as December 1982. The Award includes a citation, a bronze medal and an amount equivalent to US$ 500. Up to now, 14 Young Scientists have received the Award. The purpose of the Award is to encourage young scientists of the region working in the field of Meteorology. SAARC also instituted a separate Award for Senior Scientists in 1997. The purpose of these awards is to encourage excellence in research analysis and outstanding publications in the meteorological field. The SAARC Visa Exemption Scheme was launched in 1992. The leaders at the Fourth Summit (Islamabad, 29-31 December 1988), while realizing the importance of having people to people contacts, among the peoples of SARC countries, decided that certain categories of dignitaries should be entitled to a Special Travel document, which would exempt them from visas within the region. As directed by the Summit, the Council of Ministers regularly kept under review the list of entitled categories. Currently the list included 24 categories of entitled persons, which include Dignitaries, Judges of higher courts, Parliamentarians, Senior Officials, Businessmen, Journalists, Sportsmen etc. 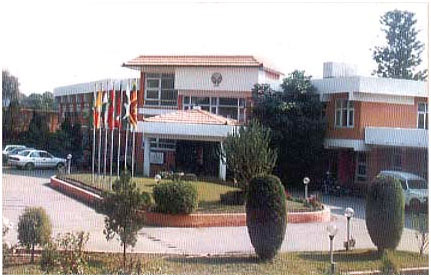 The SAARC Secretariat is based in Kathmandu, Nepal. It coordinates and monitors implementation of activities, prepares for and services meetings, and serves as a channel of communication between the Association and its Member States as well as other regional organisations.The Secretariat is headed by the Secretary General, who is appointed by the Council of Ministers from Member States in alphabetical order for a three year term. H.E. Mr. Arjun Bahadur Thapa from Nepal is the current Secretary General. The Secretary General is assisted by eight Directors on deputation from the Member States. The SAARC Secretariat and Member States observe 8 December as the SAARC Charter Day. Over the past few years, India's development assistance has started to cover large number of countries and consequently, the projects being implemented by the Ministry of External Affairs have increased substantially. Recognizing this, the Development Administration Partnership (DPA) was created in the Ministry of External Affairs in January 2012 to effectively handle India’s aid projects through the stages of concept, launch, execution and completion. India's development partnership is based on the needs identified by the partner countries and the effort of the Ministry is geared towards accommodating as many of the requests received from partner countries as is technically and financially possible. DPA has started to create in-house, specialized technical, legal and financial skills in order to fast-track all stages of project implementation. DPA has three Divisions. Currently, DPA I deals with project appraisal and lines of credit; DPA II deals with capacity building schemes, disaster relief, Indian Technical and Economic Cooperation Programme and DPA III deals with project implementation. As the Development Administration Partnership in the Ministry of External Affairs is gearing towards meeting its mandate, it is expected that effective and efficient handling of all our aid projects from the stages of concept, launch, execution and completion would result in efficient implementation of projects, in close cooperation and facilitation of the partner countries. This page will be developed to include further details on DPA and its functioning. For more information on Indian Technical and Economic Cooperation (ITEC) Programme please visitlink.